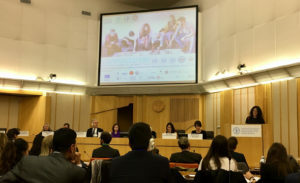 The team of the Permanent Secretariat of the WSNPL (World Summit of Nobel Peace Laureates) today took part at the first youth competition for a sustainable future, Zero Hackathon in Rome. 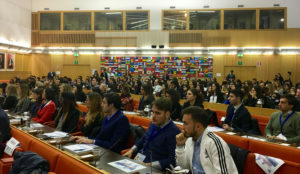 The event is organized by the Italian Society for International Organization (SIOI – UNA Italy) together with the Students’ Movement for International Organization (MSOI/UNYA-Italy), in partnership with the United States Diplomatic Mission to Italy, and with the technical support of Food and Agriculture Organization (FAO). 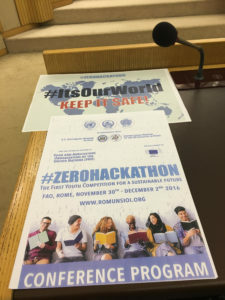 ZERO Hackathon is 160 highly motivated young students, representing universities from around the world, gathered in Rome, at FAO, from 30th November to 2nd December, 2016, for the first youth hackathon on the most pressing international issues related, but not limited, to SDGs, climate change, sustainability, zero hunger generation, food and agriculture. ZERO is an international competition for interdisciplinary young students aimed at generating solutions with a significant impact on global challenges. Participants invited to develop innovative high-impact ideas, projects, services and/or tools capable of meeting international requirements and presenting sustainable responses. 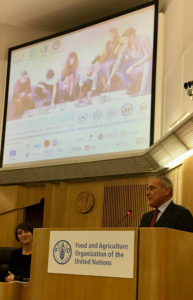 The opening ceremony of the event today was launched by the President of the SIOI, Franco Frattini. 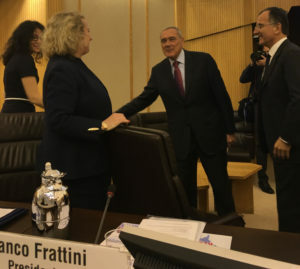 The welcoming address to the students also shared the guest of the event, Pietro Grasso, President of the Senate of the Republic of Italy. 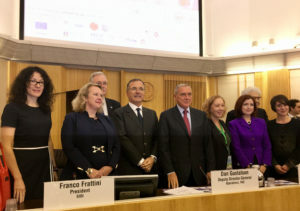 Among other guest speakers at the opening session were present also Dan Gustafson, Deputy Director General of FAO, Gloria Berbena, Minister Counselor for Press and Cultural Affairs, Embassy of the United States of America, Beatrice Covassi, Head of the European Commission Representation to Italy, M. Cherif Bassiouni, Emeritus Professor of Law and Honorary President of International Institute of Higher Studies in Criminal Sciences – ISISC, Ekaterina Zagladina, President of the Permanent Secretariat of the World Summit of Nobel Peace Laureates and Nicol Perez, U.S. Youth Observer to the United Nations. President of the Permanent Secretariat of the World Summit of Nobel Peace Laureates, Ekaterina Zagladina participated in the opening ceremony as a panelist together with the FAO Deputy Director General Dan Gustafson to encourage students to engage in SDGs for our better future.  The winners of the Zero Hackathon will be honored to visit the 16th World Summit of the Nobel Peace Laureates in Bogota in February 2017 where they will have the opportunity to present their project to the other youth gathered from all over the world.